It's all about how you finish the race, but the beginning is often just as important. Two weeks ago, Anna Cockrell nearly flubbed her start in the most important race of her life to date. 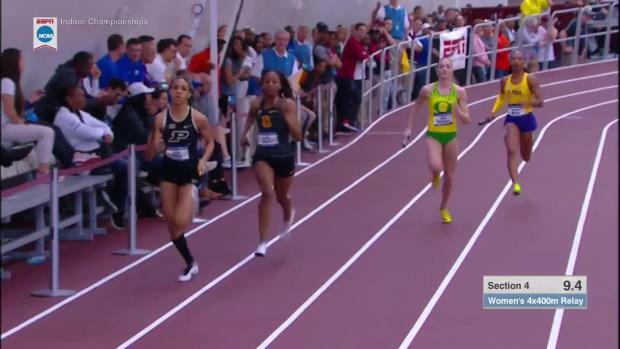 She was in Eugene, Oregon, to race the first round of the 400m hurdles at the U.S. Olympic Team Trials. Before the race, Cockerel's coach--Carol Lawrence, the head track coach at Providence Day School--said, "You're going to get out faster than you ever have before. Settle into your rhythm, and you'll be alright." 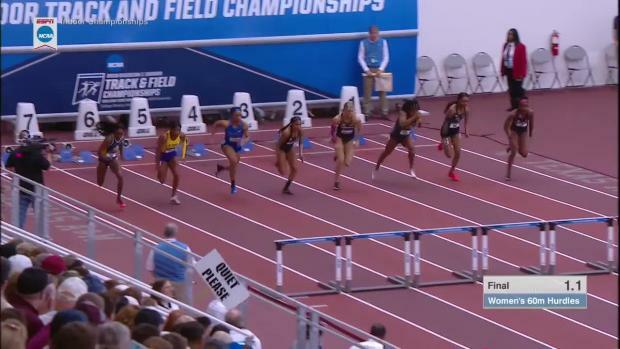 She did get out faster than she ever had before--she took 14 steps to the second hurdle where she usually takes 15 or 16--but instead of settling, she freaked out. "I pulled back because I felt like I was going too hard," she said. "I just got into my own head and panicked." Cockrell still advanced to the semifinal that day--a feat impressive enough on its own, as Cockrell entered the competition ranked No. 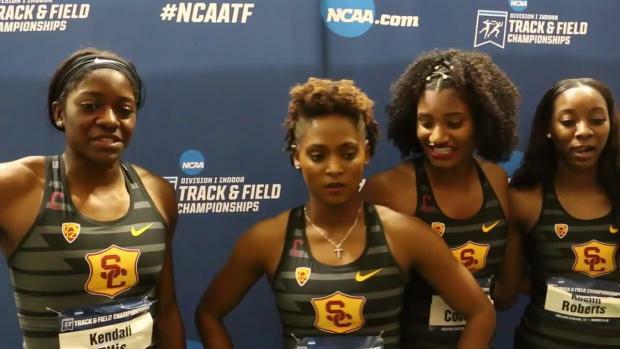 19 and only 16 athletes advance to the second round--but the physical jolt was still imprinted on the USC commit when we spoke over the phone a week later, the night before she was to travel to Bydgoszcz, Poland, for the IAAF World U20 Championships. "If 14 steps happens again, it's gonna happen," she said. "I'm 5-10. I do seven steps to the first hurdle for 100m hurdles and that's different than a lot of people. If 14 happens, stay on rhythm and don't get frazzled. I think I'll be ready for it." 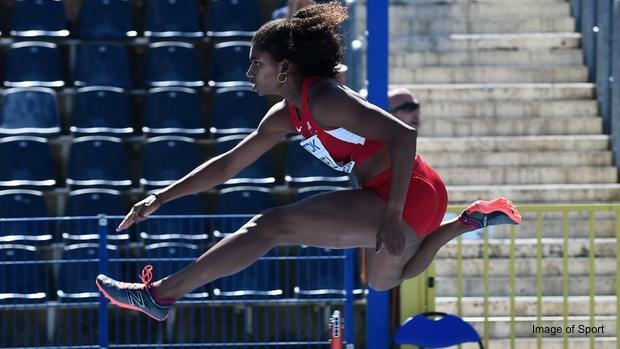 It turns out 15 may be the magic number--that's how many steps she took last night between the first and second hurdle on her way to clinching her first world championship title at Zawisza Stadium in Poland. "I set a pace for myself that I could just ride throughout the race until it was time to kick it into that last gear and really go for it," she said immediately following the win, which brought Team USA's total to 99 gold medals in the history of the IAAF World U20 (formerly World Junior) Championships. "One of the hurdles was a little sloppy coming towards the end, but other than that, it felt like the perfect race," she said. 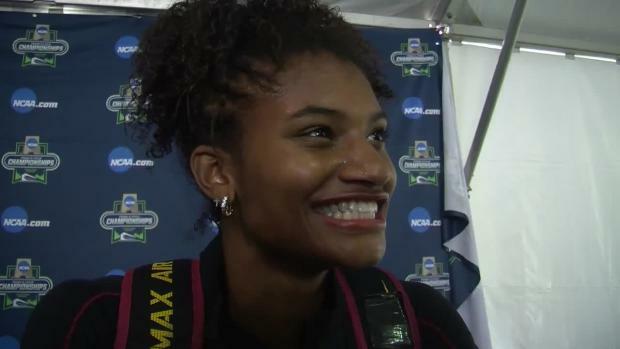 "Shannon [Kalawan of Jamaica] was in front of me in lane eight, and I know she takes it out hard--she probably takes it out harder than just about anybody in that field--so I knew if I stuck with her, I would be in a really good position going into that last straightaway." The first athletes to hit the homestretch were Cockrell in red, white and blue, and Kalawan in yellow and green--just as predicted. 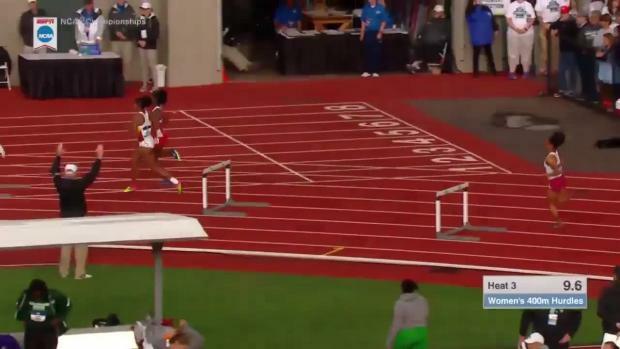 The American then put her speed on full display and zoomed through the line in 55.20 to Kalawan's 56.54. The mark is a significant personal best--her previous was 55.89--and ties Leslie Maxie for No. 2 on the U.S. high school all-time list and No. 4 on the American U20 all-time list. It also ranks No. 9 on the world U20 all-time list. 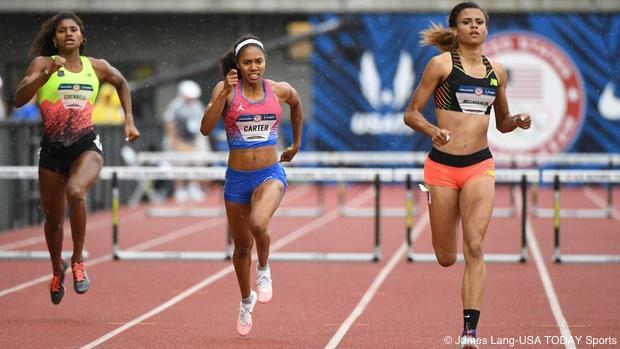 The only American high schooler to run faster, of course, is Sydney McLaughlin, who rocketed from a name known mainly to track and field fans to an international star when she took third at the U.S. Olympic Trials. 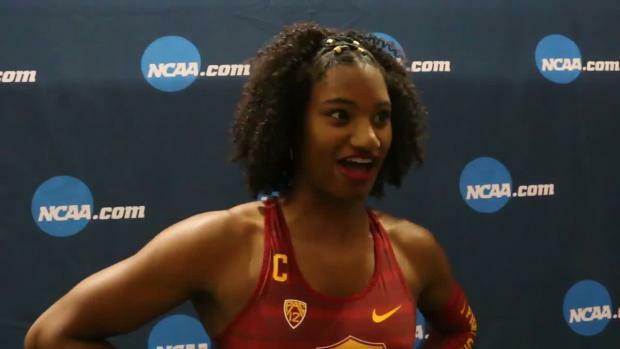 At 16 years old, McLaughlin is the youngest American track and field Olympian since 1972. McLaughlin broke Maxie's 32-year-old record--one of the oldest in the book--this year when she ran 54.46 to win New Balance Nationals one spot ahead of Cockrell and then, again, when she ran 54.15 to book her ticket to Rio. "It is a little prick in my side, I can't lie about that, because she is so young and I'm 18. I feel so old!" Cockrell said of McLaughlin over the phone and via text last week between the Trials and the World Championships in Poland. "But I'm proud of Sydney and all she's accomplished--which I'm sure sounds weird because I'm not her family or close friend or anything--but it's great to see someone I respect and have competed with succeed." When McLaughlin chose to bypass the World U20 Championship to focus on the Olympics, Cockrell became the de facto favorite to win. She's won big before--she was the Pan-American Junior Athletics champion last summer in Canada--but the truth is, she's often second behind McLaughlin. Could she step up on the world's biggest stage? Maybe not making the final in Eugene was just what she needed to win in Bydgoszcz. "To win... to see the time that I ran... for me, the emotional moment is always getting the flag," Cockrell said while draped in the American flag last night before the medal ceremony where the "Star-Spangled Banner" would play in a stadium filled with athletes, coaches and fans from 160 different countries. "That's what it was at Pan-Ams, and that's what it was just now. To see my family at the end of the race and see Coach and my mom crying... I'm just overwhelmed with joy and emotion right now."